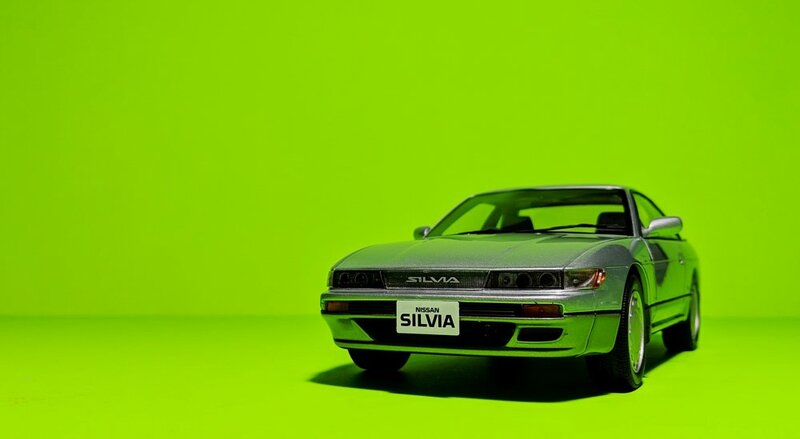 It’s been a good two-year run for Silvia fans. 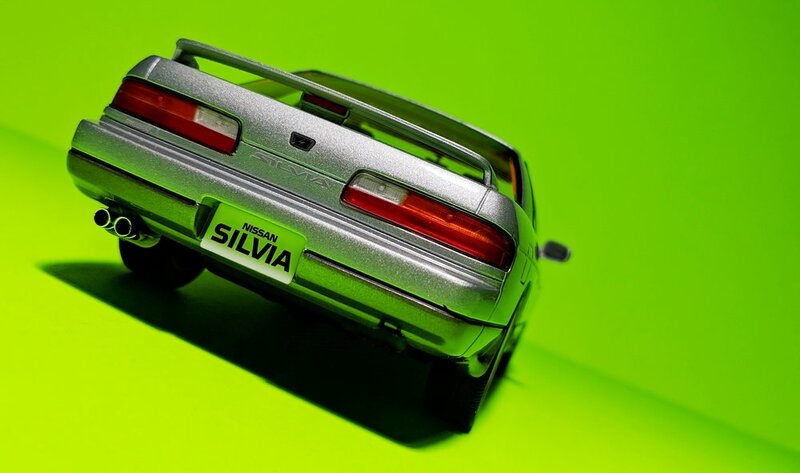 In 2017, Otto gave us the (S13) 180SX and the S14. Now, they’ve finished what they started. 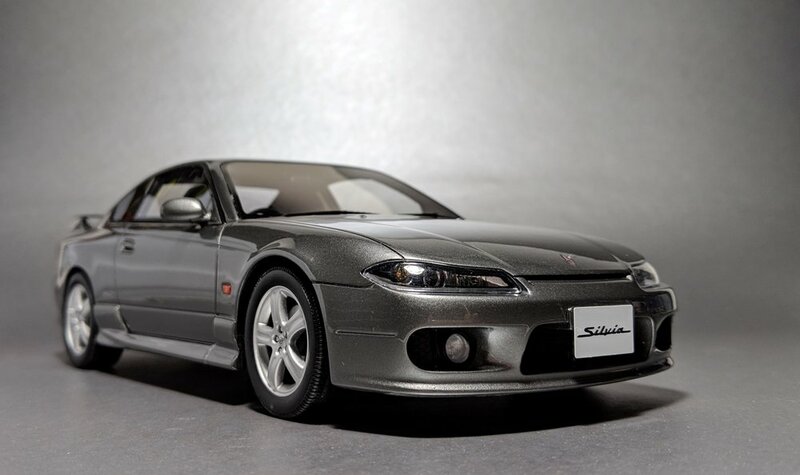 The S15 is the most respected and iconic of all the Silvias, due largely in part to its inclusion in Fast & Furious: Tokyo Drift, in which the feature car from the opening scene is heralded as the “Mona Lisa” of drift cars. I much prefer DK’s 350Z with the Veilside bodykit, but that’s a discussion for another time. 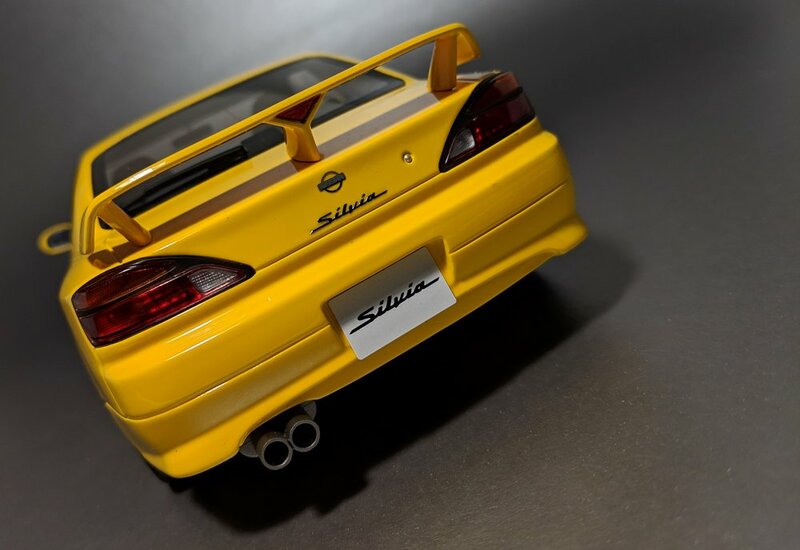 Rear-wheel drive, light weight, and plenty of cheap aftermarket bolt-ons make the S15 Silvia a perfect foundation for a track-day toy. To add to its mystique and allure, they were never exported to the U.S., creating a stereotypical want-what-you-can’t-have situation. A classmate once told me that his dream car was a S15, so there’s your proof. Not a Ferrari, not a Benz, but a freakin’ 1999 Nissan. 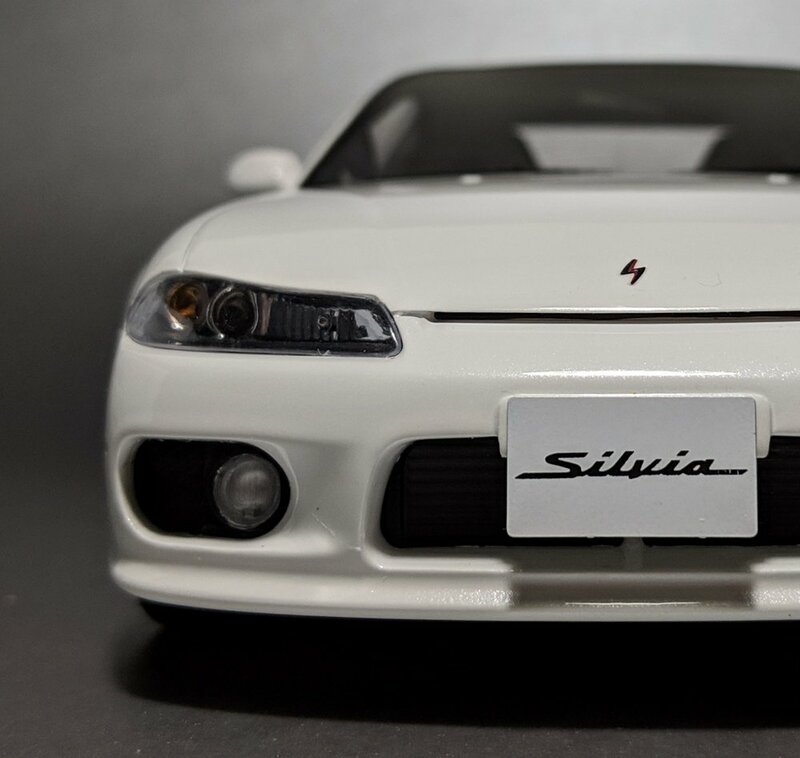 Ottomobile seems to understand consumer wants and needs better than the other companies out there, which is why they’ve given us not one, not two, but three colorways of this Silvia - again, the first of its kind in 1:18 scale. There are some collectors for which one is simply not enough, and I’m pretty sure I’m part of that contingent. Give me all or give me nothing. The grey is the standard release, the white is a Kyosho-branded colorway, and the yellow is a collaboration with Route Twisk. Aside from body paint and packaging, there are no differences between these models. I started by pre-ordering the grey model. Then, I added the white one to my cart to make the most of the flat-rate shipping. A few weeks later, I discovered the existence of the yellow colorway, at which point I pulled the proverbial “why not?”. The result is the trifecta here. 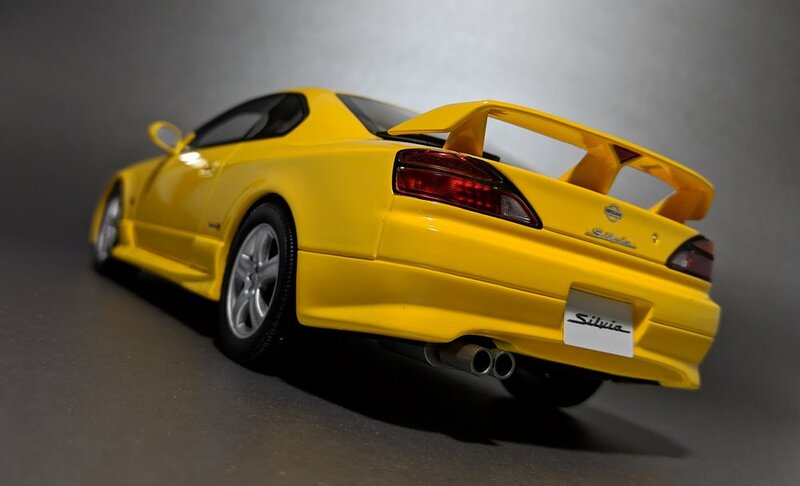 I have to say that the Silvia looks odd in yellow, and I’m as big a fan of the color as anyone. 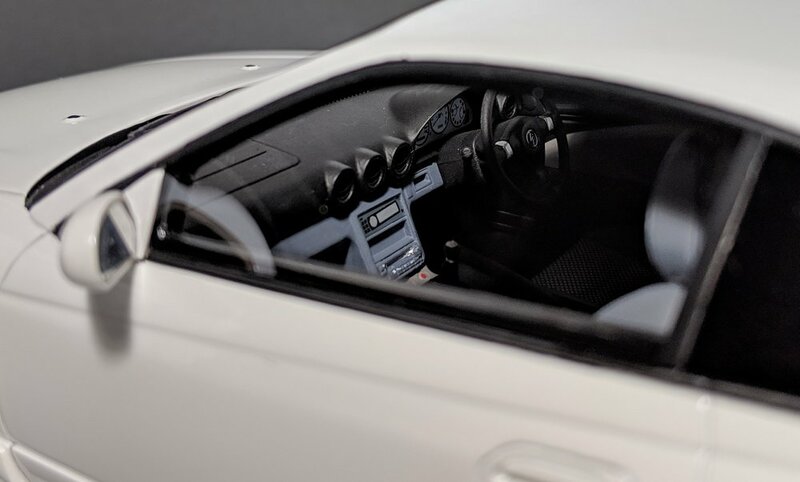 White is a favorite choice for Japanese sports cars, so you can’t go wrong there. However, grey is the gem in this trio, so that’s the one to get if you fall under the category of “most” collectors. 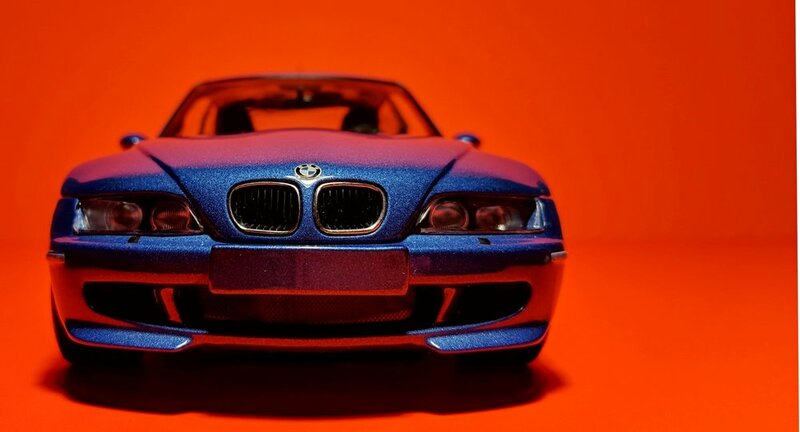 Otto’s S15 is modeled after the Spec-R Aero trim level. 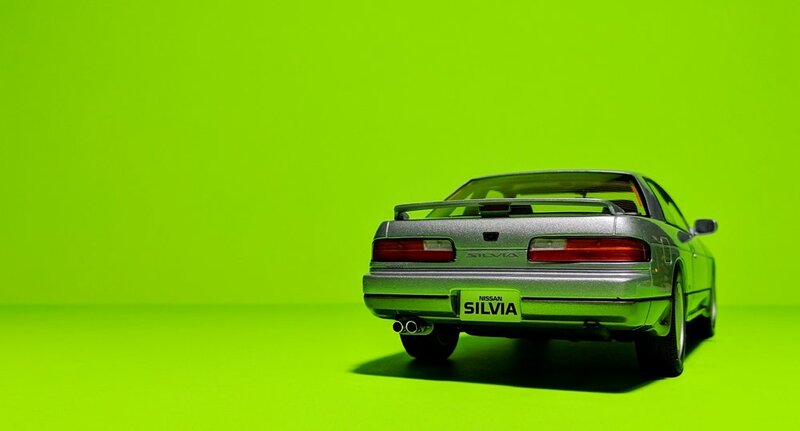 Opting for the Spec-R gives the Silvia a host of performance upgrades designed to improve the car’s handling, and checking the “Aero” box gives it the spoiler in the back. 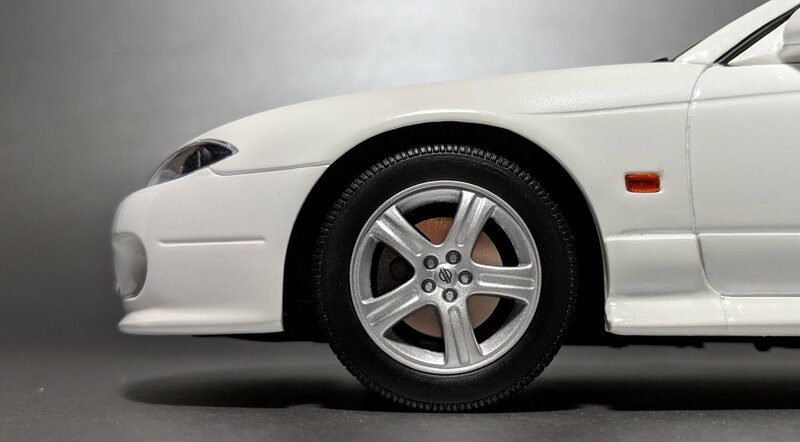 In stock form, the S15 isn’t an attention grabber, but I’ve seen customizers swap out the boring OEM rollers for proper racing wheels. 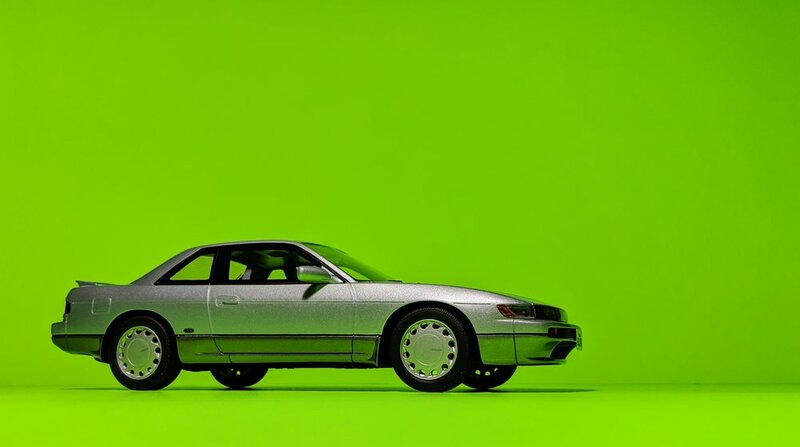 The effect is tremendous, and I’m inspired to throw some bronze TE37’s on the yellow model. Just a reminder that I need to start taking my toys apart and tinkering with them. 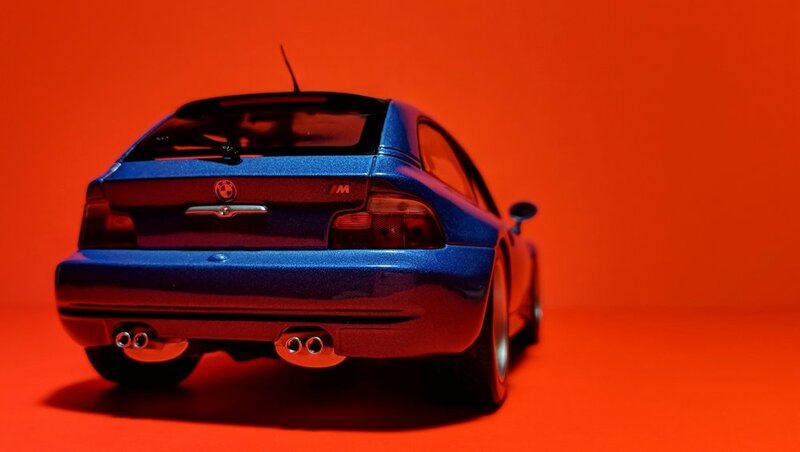 Chasing Cars is a series that I will dedicate to older, often rare, models that I’ve been on the hunt for. These are the grails, the ones where you look back and go “Wow. I actually have that?” Though much of what I post pertains to recent releases, I wanted a way to separate the two. Because, in fact, tracking down gems from the past and catching up with current products are like two different hobbies altogether, that require different approaches. One is slow, methodical, research-intensive, and demands knowledge of the secondary market; the other is simply a quick pull of the trigger. Hunting down these cars is a borderline obsessive and nonstop affair. 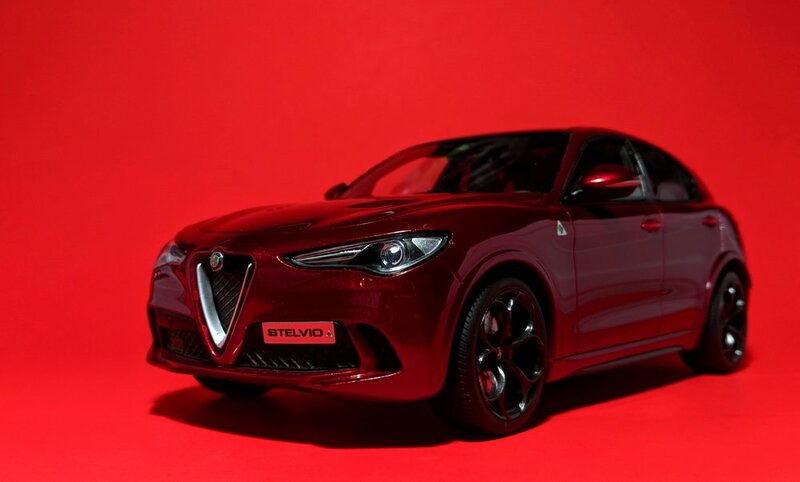 These aren’t just models that you come across on a regular basis. ‘0 search results found’ is a common occurence, and overpaying is never an option. Think of this series as a personal diecast bucket list. One by one, I will cross items off the list. One by one, they will fall into my hands. Stay tuned and you shall see. 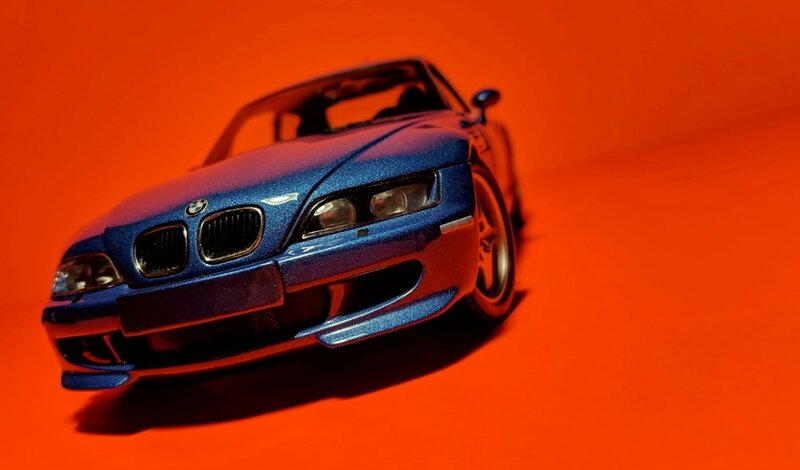 Most recently, the relentless hunt has brought another grail to the ever-expanding stable and yet another ///M car to inch me closer to the finish line. Oh, how long I’ve been searching for one of these. A year? Two years, possibly? But ever since I made the decision to engulf myself in the 1:18 world and never look back, I knew I eventually needed one of these. And I knew which color I wanted mine to be: blue. Estoril Blue, to be specific. Black was never in the picture, and red wasn’t going to cut it either. It was Estoril or bust and, by some stroke of awful luck, it would also turn out to be the most difficult one to find. 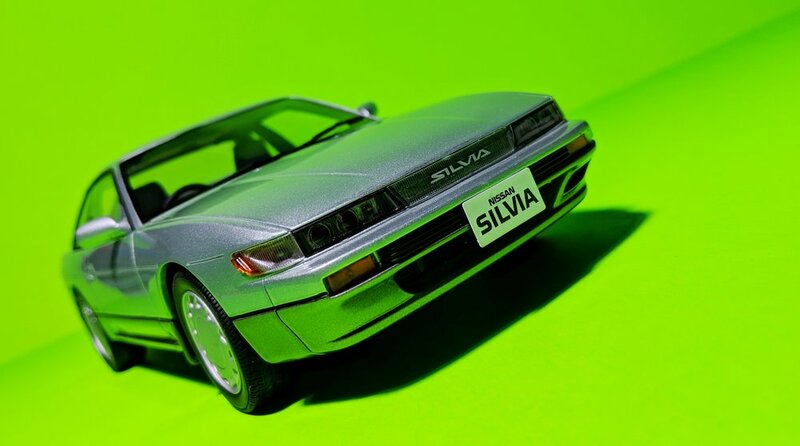 I may have missed an opportunity here or there, either due to carelessness or being distracted by the hundreds of other models on my hit list vying for my attention, but the only thing that matters is the agglomeration of metal, plastic, and rubber that’s sitting in front of me right now. 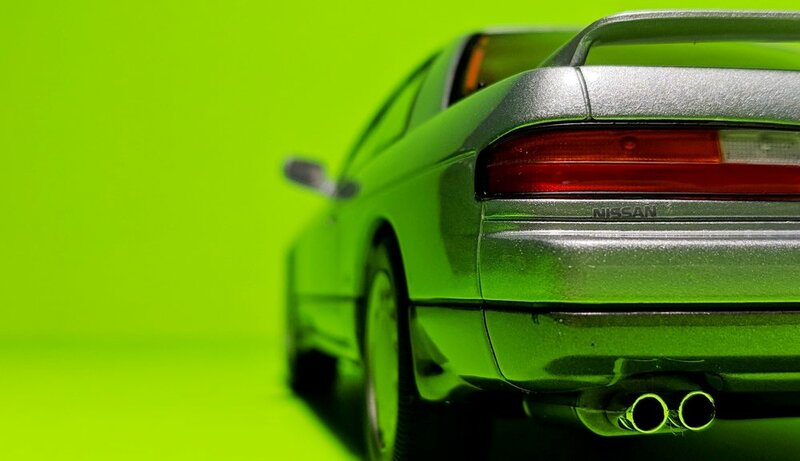 Amidst the rambling, it appears I forgot to talk about the car itself, so let’s get into it. 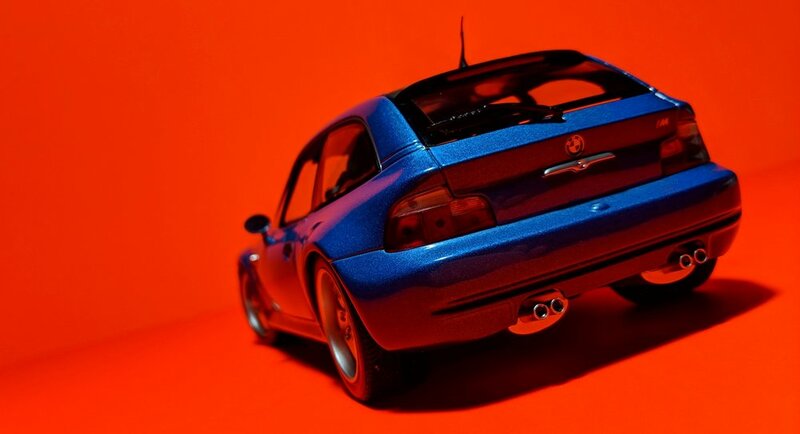 Take the potent engine from the M3, stuff it into the smallest, lightest, most compact Bimmer available (the Z3), re-sculpt the body into a shooting brake for added structural rigidity, and what you get is the bundle of joy called the M Coupe. Looks, however, are a different story. 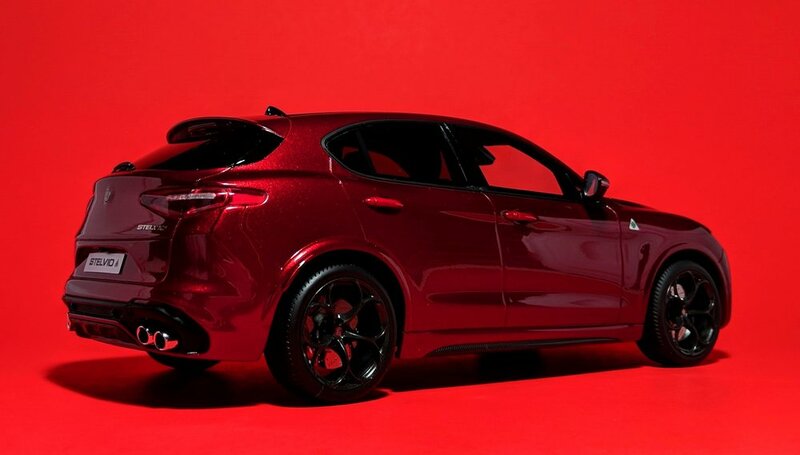 It’s not quite coupe and not quite hatchback, but it’s weird in a brilliant kind of way. 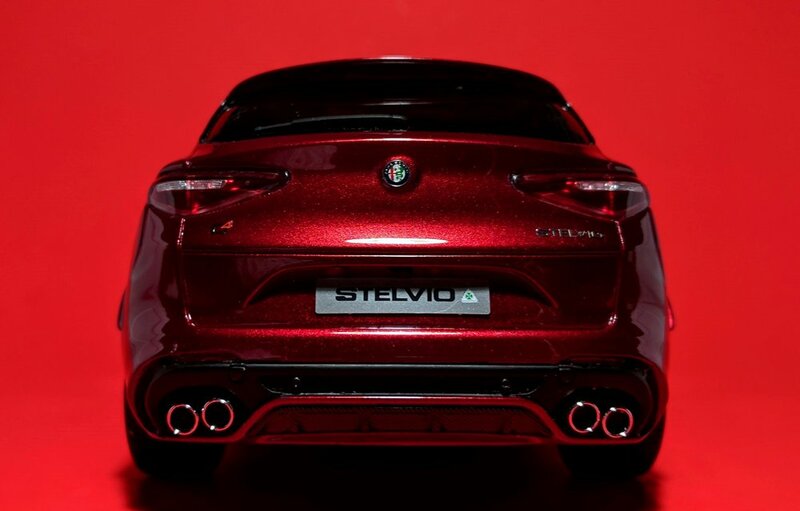 Its polarizing design earned it the nickname Clownshoe - a glimpse of its side profile will tell you why. 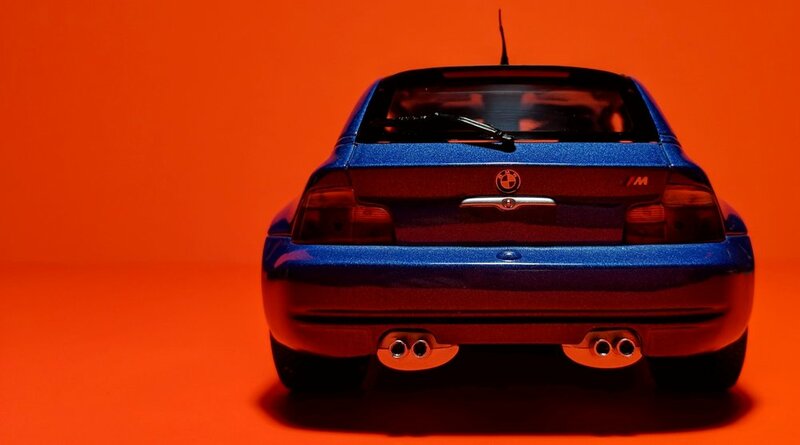 There’s a slight negative connotation to the name, suggesting that the M Coupe wasn’t exactly a crowd pleaser back in the day. 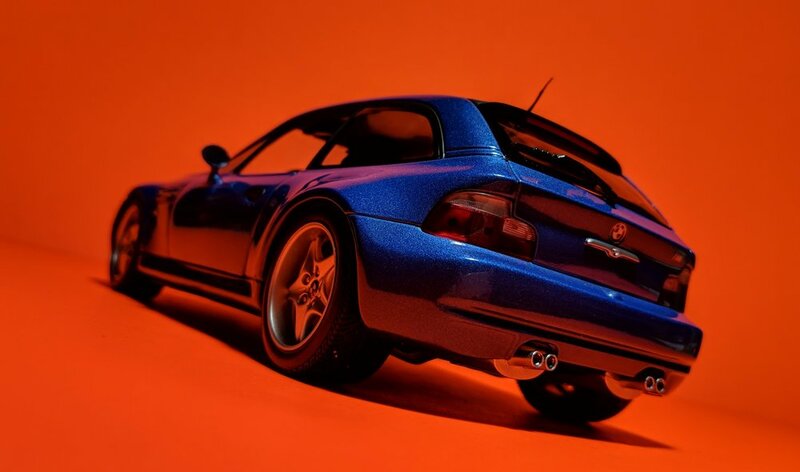 To this day, it’s still an abomination to some, but every soul in the automotive world respects its status as a modern legend and a future classic. Tossed around corners, the Clownshoe will be more than happy to wag its tail and oversteer on you when you apply your lead foot to the pedal. 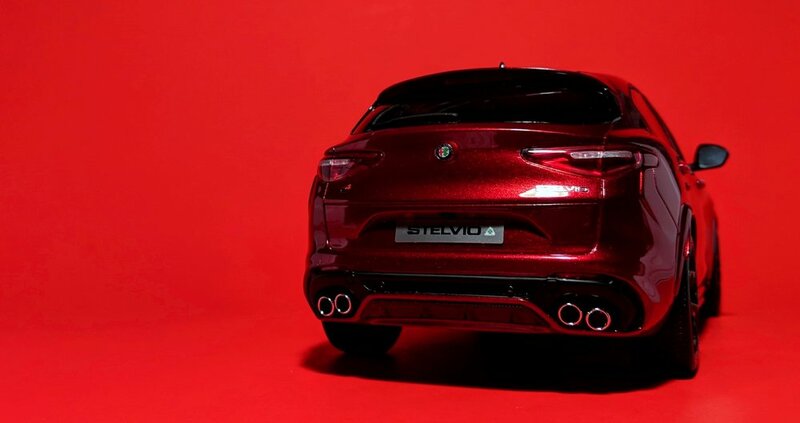 Not being fun to drive is never a complaint you hear about this car. 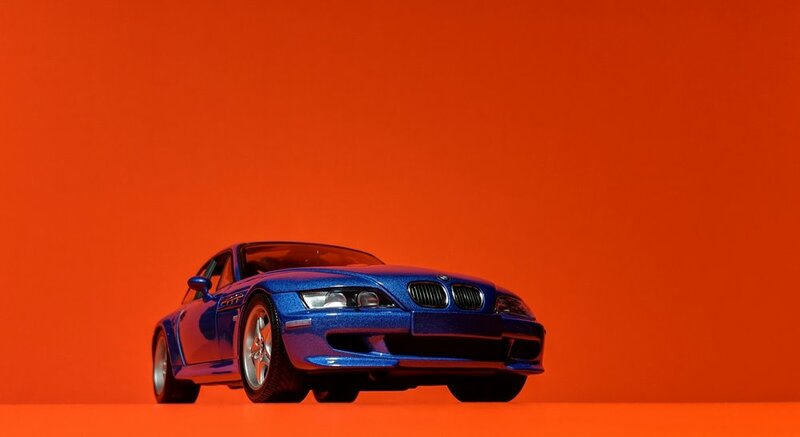 Early generations of the M Coupe here in the U.S. came equipped with the S52 engine from the E36 M3, and that was later on upgraded to the more powerful S54 powerplant of the E46 over the course of its production. Driven by slow sales, production numbers of the Clownshoe were very low, making it a desirable collector car today that trades for about as much, if not more, than its original sticker price. What’s depreciation? 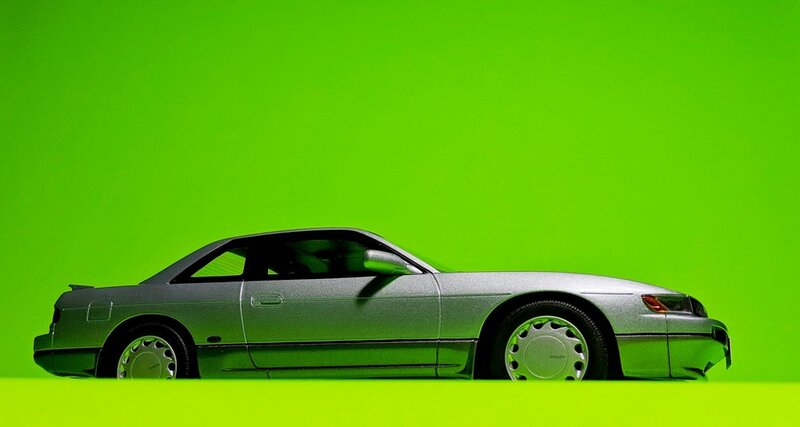 The facsimile here is done by UT Models, a brand that goes by the clichéd “AUTOart before AUTOart” descriptor. In other words, they’re both owned under the same company, but the reign of the UT Models brand ended in the late 90’s. 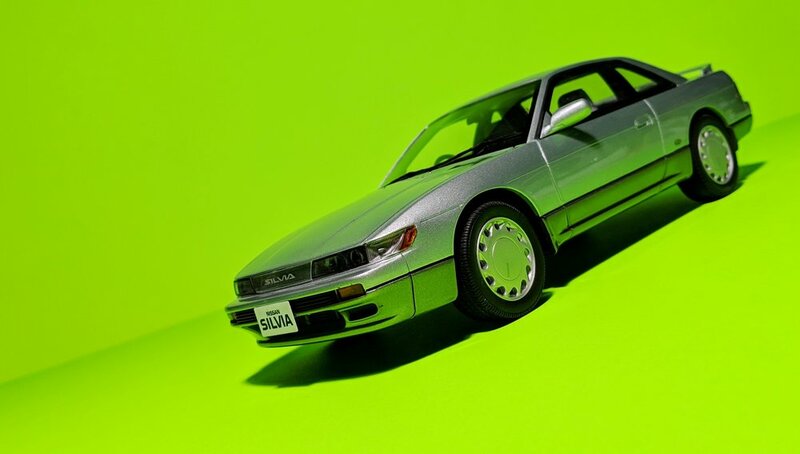 What that should also tell you is that this model is two decades old and, yet, looks right at home next to the AUTOarts, Kyoshos, Minichamps, and GT Spirits of this era. Needless to say, the realism and accuracy of this Clownshoe were truly revolutionary for its time. 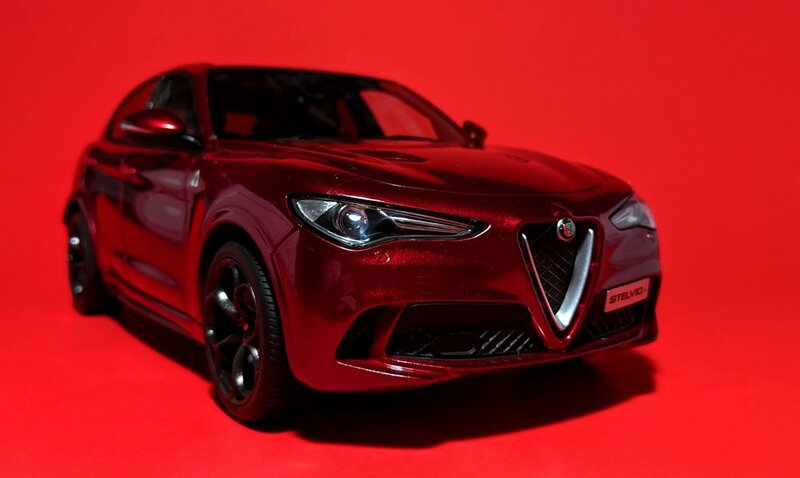 The signs of its age lie in the finer details such as the printed badges and rudimentary brakes, areas that are now much-improved with the evolution of design and manufacturing processes. 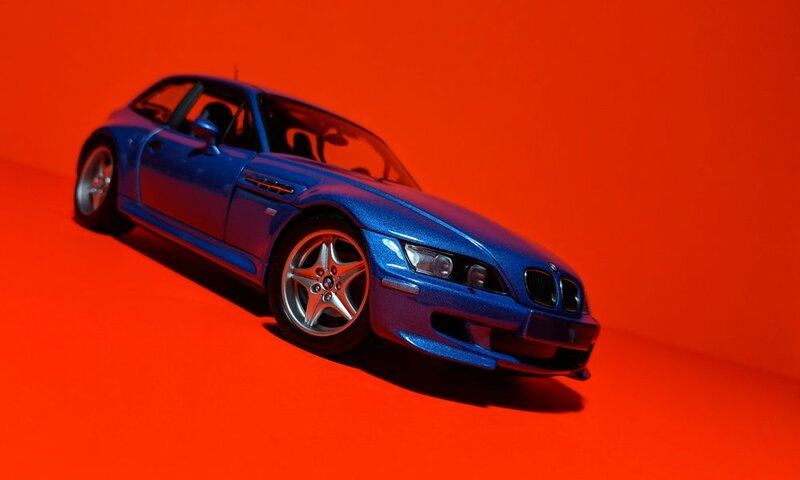 Also because of its exclusive nature (it’s the only one you can get in 1:18), the M Coupe is also one of the now-defunct company’s most sought-after models by collectors today. 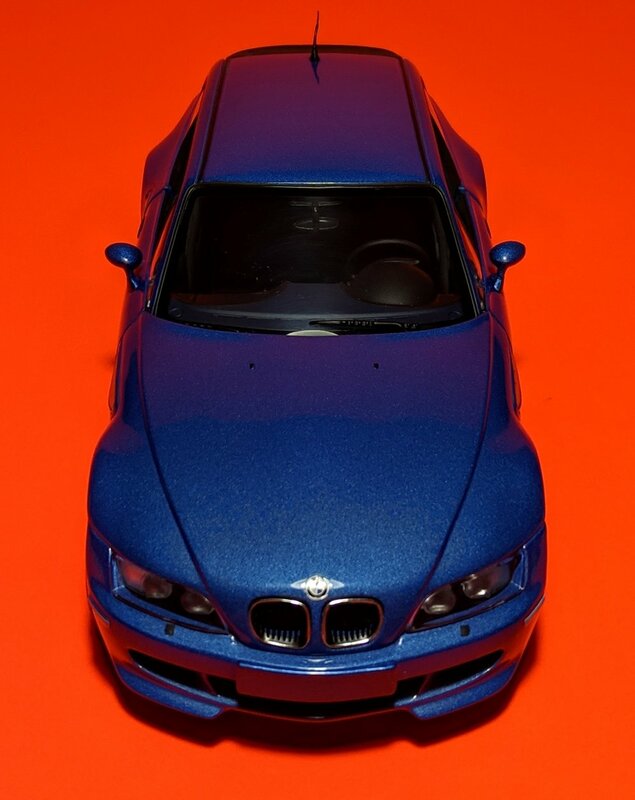 Examples are far and few between, with the Estoril Blue colorway consistently commanding the highest premium. I played the long game, let some ridiculously-priced ones pass by, until I stumbled upon this mint-condition piece for a relative bargain.